God Eater 3 is an action role-playing game developed by Marvelous First Studio (Marvelous’ internal development studio) and published by Bandai Namco Entertainment. As the third main entry in the God Eater series, the game was released on February 8, 2019 for Microsoft Windows and PlayStation 4. Like its predecessor, the game is an action role-playing game with hack and slash gameplay. Players are equipped with God Arc weapons which can be transformed into guns. In the game, players are tasked to hunt and kill massive monsters known as Aragami. The player character is a God Eater who can absorb energy from monsters to unleash “burst moves”, special attacks that deal a lot of damages to the enemies. Companion characters, which are controlled by artificial intelligence, assist in combat. Players can activate the Engage System to share combat perks with them during combat. The game can be played cooperatively with four other players, while assault missions accommodate up to 8 players. Wikipedia®. Rise Above a World of Desolation. The latest entry in the hugely popular God Eater action series is here! • Fight in Style with Brand-new God Arcs! Expand your close-combat armory with the dual-wield God Arc “Biting Edge” and the two-handed moon axe “”Heavy Moon””, or fight from afar with the new “”Ray Gun”” God Arc! • New Abilities for Exhilarating Battles! Ground, Air, and Step attacks evolve into powerful techniques with Burst Arts, and the new Dive dash attack allows you full freedom of movement to hunt down wandering Aragami! • Fearsome New Threats: Ash Aragami and Devour Attacks! Dangerous new foes, Ash Aragami can utilize Devours Attacks and enter Burst Mode, increasing their strength exponentially! These enemies are not to be trifled with and will require you to take your weapon and your game to the next level! Trainer for the game God Eater 3, you can use it to activate these essential Cheat Codes: Infinite HP, Infinite OP, Infinite ST, Max Engage, Super Speed, One Hit Kill, Infinite Money, Infinite GAP, Infinite AP. 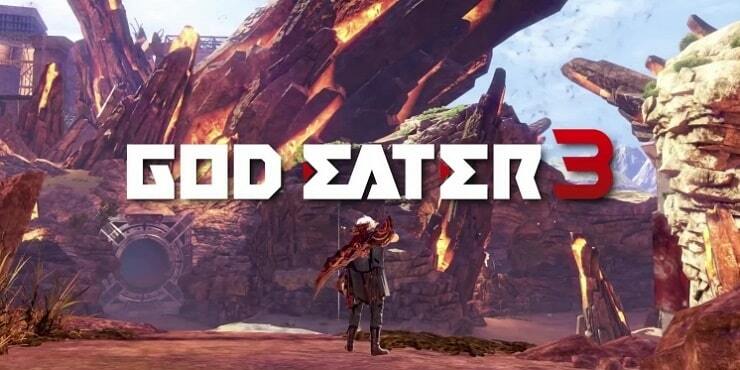 Note: This cheat tool is for the original version v1.20 of the game God Eater 3.